To gain success in the search engines, SEO strategists play a key role in running campaigns successfully. ‘Google – The Search Engine’ gives importance to the keywords if the query matches in the page content. Moreover, it pushes the page in search engine ranking, too. Based on the concept of ‘pull system’, search campaigns are the most common to run in Google and Bing. In this method, the ads are supplied to the existing demand in the market. The system has really worked and a lot of marketers have increased the revenue of their client’s many many folds because this targets those customers who know about their needs and like to be targeted to have solutions. Although, search network ads are very costly, they bring real results at the end of the day. Again, being costly, these ads aren’t for small businesses that can’t afford to run ads for longer. Moreover, if the campaign isn’t run effectively, then CPC (cost-per-click) can be too much for any business to endure. If you want to score better in a search campaign, then start optimizing your pages for keywords that people actually search. Moreover, your CPC rate will depend on upon your quality score. The lesser the quality score, the better CPC will be. 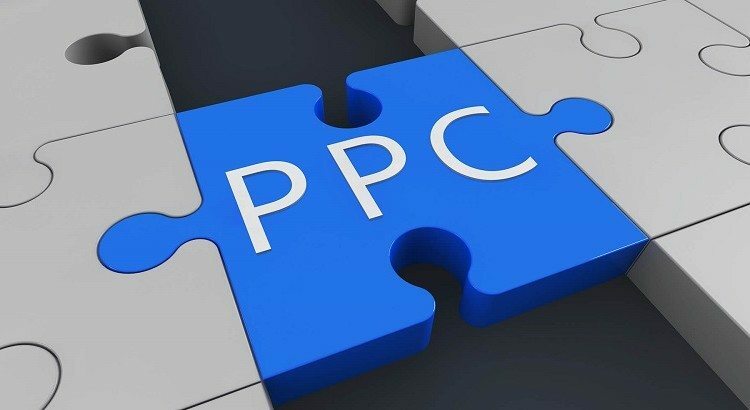 Now we are going to take a look at important elements of PPC and what measures can be taken to improve the performance for better results. What most marketers fail in is choosing the right keywords. During PPC campaigns, marketers target them because they believe it will drive traffic to their website through search ads, which will eventually lead to new customers. On a surprise note; there are thousands of things that weren’t targeted by any marketer or were never searched before. This leads to targeting keywords variations, which is a great way to stay creative, active and successful in the dynamics of the web. Keywords variation can be done by keywords types that are of 4 types: Broad Match, Broad Match Modifier, Phrase Match and Exact Match. The keywords match with your selected keywords; be it spelling errors, synonyms, a similar phrase phrases, singular or plural version of the keywords etc., Google considers them relevant. The word order in search query doesn’t matter as long as your keyword matches with the words in the search term. Sometimes your keyword matches with the words before and after the keyword. In this type, the query will match with your selection only if the entered keyword in search bar matches exactly with your keyword phrase. Words before and after are accepted in this match type. The query in the search should match exactly with your selected keyword. No word should be before or after or any addition words should be there. Exact means, exact; it means, your ad will only display when a user type exact keyword phrase that you have selected. Beneath is the example that clarifies more on the topic. 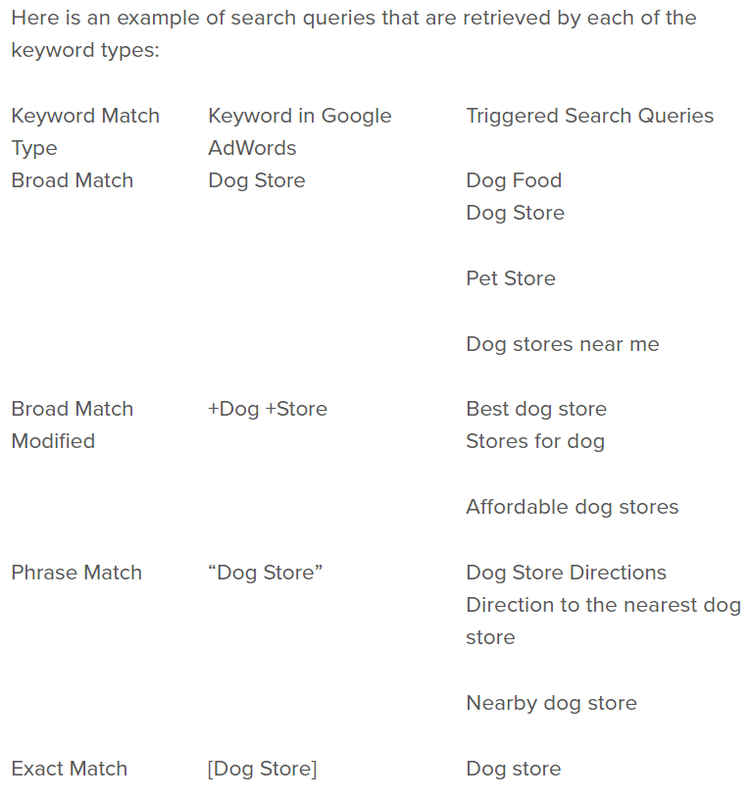 A lot of things depend on the keyword research. It’s up to you how you find them and how much time you dedicate in finding them. Keyword research is no joke. It needs extensive planning and research to pile up the reports that can actually produce results and give better ROI in the long run. Keyword Planner is a term in Google AdWords that enables users to research a term or group of terms that suggest ongoing related search ads. A keyword planner is a place where most of the planning occurs. In simpler words, it’s the place where the planning process begins. If you know the strategy, then you are going to make the most of the polls. When you use negative keywords in Google Keyword Planner, it will automatically lay importance to the targeted keywords, without doing much effort. It’s a clever technique, and successful marketers often use this technique to trigger the positive search results for their selected keywords. Research on multiple topics related to your industry. Scale every search results and monitor those keywords closely. It will give you the clear picture of the most weighted keywords for best SEO results. Don’t compromise with quality. Moreover, don’t fall into the trap of quantity because nothing can beat the quality, no matter how many keyword you are targeting. Your focus and efforts will be shifted to numerous keywords, too. Hence, prepare the strategy with through research and planning. By refining research “keywords to include” you actually gain something that’s truly valuable to your marketing efforts. You will get suggestions for terms that will boost your overall search ranking in the ads. Some marketers use Google search to find the trending or most typed keywords within their industry. When you type something, Google gives you suggestions related to your query. Those searches can give you an idea of what to target and what to ignore. Again I say; it all depends on your planning. Sorting ads in a relevant ad group will give you an edge over your rivals who fail in doing so. However, your keywords are interrelated to each even though they belong to different ad groups in your campaign. When you insert keywords in your ads, it will only boost your visibility and improve your quality score. Hence, it’s recommendable by every marketing expert and even Google loves when you do it. If you successfully align your keywords, ads, and landing pages, your quality score increases. Google loves you more for doing it. Your ads will be displayed on the most prominent places, which will lead conversions. Google Ad Extensions help you in creating advertisement experience that will bring impressions on your ad in a much better way and give user needed information to the related ad showing in their search. This beautiful video done by Google on Google Ad extension will clarify about the topic in a much better way.